Journal of Hospital and Medical Management publishes articles in fields of Facility management, Cleaning and Disinfection Management, Management of equipment, Patients data management, Telemedicine, Hospital Networks, Hospitals, Hospitals, Organizational Structure, Personal Health Record, Public Health Systems, Electronic Medical Records, Health Administration, Health Care Systems, Health Information Management, Healthcare Administration, Hospital Administrators. As a member of Publisher International Linking Association, PILA, iMedPub Group Journal of Hospital and Medical Management follows the Creative Commons Attribution License and Scholars Open Access publishing policies. 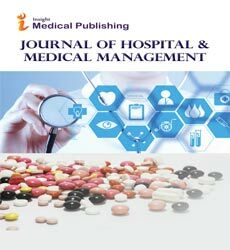 Journal of Hospital and Medical Management follows a progressive editorial policy that encourages researchers to submit the original research, reviews and editorial observations as articles, well supported by tables and graphic representation. Journal of Hospital and Medical Management is self-financed and does not receive funding from any institution/government. Hence, the Journal operates solely through processing charges we receive from the authors and some academic/corporate sponsors. The handling fee is required to meet its maintenance. Being an Open Access Journal, Journal of Hospital and Medical Management does not collect subscription charges from readers that enjoy free online access to the articles. Authors are hence required to pay a fair handling fee for processing their articles. However, there are no submission charges. Authors are required to make payment only after their manuscript has been accepted for publication. Authors of accepted peer-reviewed articles have the choice to pay a fee to allow perpetual unrestricted online access to their published article to readers globally, immediately upon publication. The article processing charge for authors funded by Government or any Research Grant is $3619. Payment must be received in full for the article to be published open access. Confirm that each individual named as an author meets the uniform requirements of the Journal of Hospital and Medical Management criteria for authorship. The information must be based on original research that adds to the body of knowledge in Journal of Hospital and Medical Management . Case studies are accepted with a view to add additional information related to the investigative research that advances in the field of Journal of Hospital and Medical Management. Editorials are concise commentaries on a currently published article/issue on Clinical Pediatric Dermatology. Editorial office may approach for any such works and authors must submit it within three weeks from the date of receiving invitation. iMedPub uses the numbered citation (citation-sequence) method. References are listed and numbered in the order that they appear in the text. In the text, citations should be indicated by the reference number in brackets. Multiple citations within a single set of brackets should be separated by commas. When there are three or more sequential citations, they should be given as a range.Example: "... now enable biologists to simultaneously monitor the expression of thousands of genes in a single experiment [1,5-7,28]". Make sure the parts of the manuscript are in the correct order for the relevant journal before ordering the citations. Figure captions and tables should be at the end of the manuscript.